Having been left in limbo when Allihoopa closed in January, Propellerhead has announced that it has reacquired the Figure and Take apps and plans to develop them further in the future. As you may recall, both apps were actually created by Propellerhead in the first place, but left the company when Allihoopa - the musical social platform - became a self-contained business in 2017. However, to paraphrase The Beatles, they’re now back where they once belonged, which is excellent news for Reason users in particular. The apps will sit alongside Reason Compact and Thor in Propellerhead’s iOS roster. 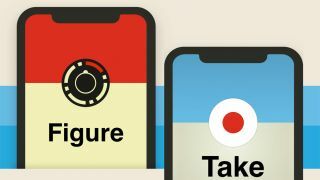 You can download Figure and Take for free from the Apple App Store.